So, are you all ready for Easter next weekend? 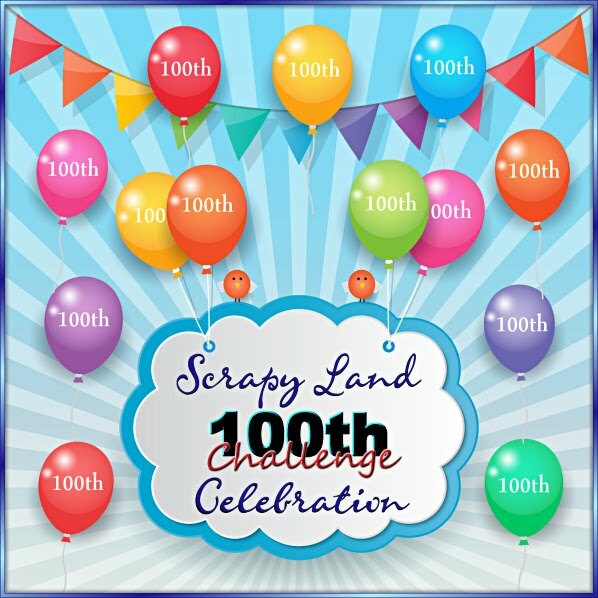 I think I am all set and ready~I am looking forward to the little ones coming over to find their Easter baskets and doing the little egg hunt :) Arya is extremely excited for it, lol! 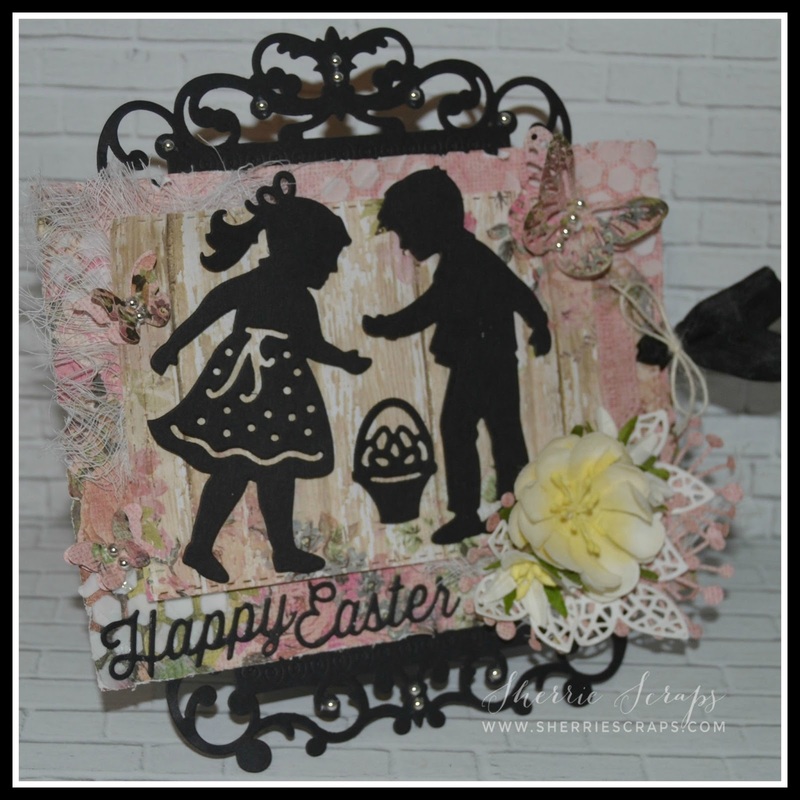 I have a couple Easter cards to share with you today using a new die that I picked up recently. It's called the Die Versions Whisper Easter Kids die~love this die! I have a few more Easter projects to share throughout the week as well.... Hope you come check them out! My card base is the Spellbinders 5 x 7 Reflective Moment. The pattern papers are from Paper Studio~Country Road. The Memory Box Honeycomb Remnant Die was used as a stencil which I ran texture paste through for texture. I added a layer of cheesecloth and then adhered a panel down using the Tutti Nesting Stitched Rectangle Die. The cute little boy and girl are Die Versions Whisper Easter Kids Die . Aren't they just the sweetest? I added a small cluster of Wild Orchid Flowers and beneath that are Sue Wilson Mosaic Leaves and the Memory Box Chandra Stem. I added a pull out tag using the Tutti Nesting Stitched Tags Die and stamped a sweet Easter message with My Creative Times Wishing You stamp set. The ribbon is from DL.ART and the jute string is from my stash. The butterflies are Die Version Pretty Butterflies Die and My Creative Times Mini Butterfly Die. The Happy Easter is Memory Box Happy Easter Perky Script Die. 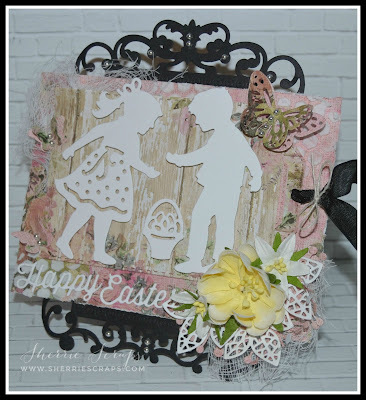 Gorgeous set of Easter cards Sherrie! Love the Spellbinders base for your card and the Easter kids die is simply marvelous! 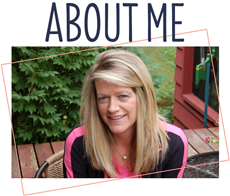 Wow, Sherrie, these are absolutely stunning!! I love the shape of the cards and the way you layered the dies!! It looks like a painting on an easel!! Love!! The texture and colors are so gorgeous!! The kids are soooo sweet!! These are so beautiful!! I absolutely love them!! Thanks so much for playing along at DL.ART!! Your silhouettes are wonderful with the flowers and butterflies. Very pretty for Easter. Gorgeous cards! I love the easel design with the sweet scene! 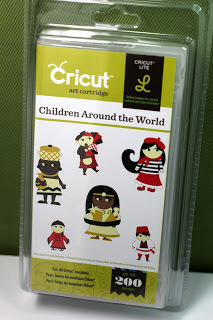 Those little kids are absolutely adorable, the silhouette design looks so awesome too! These are so perfect for Easter! WOW Sherrie these are amazing and beautiful! What a special Easter creation! Thanks so much for playing in our ‘Easter’ challenge at Dies R Us! Please come back again soon! These are amazing! Love the silhouettes and all the dies you used. These are gorgeous! LOVING those silhouettes!!!!!!!!!!!!!!!!! Both cards are stunning. Love teh die cut and beautiful papers. The yellow flowers really pop off the card. Love them both. Sherrie these are lovely !! Love the design and the colors !! Both cards are just beautiful! 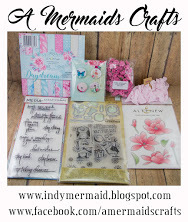 I love all of the pretty die cuts and flowers! Aww! These are such sweet cards! I'm sure your granddaughters are going to have a blast on Easter!! It's so fun having little ones around :) Have a fantastic week and happy Easter! So beautiful!Thanks for sharing at Dies R us...so happy you joined us! Oh, my! 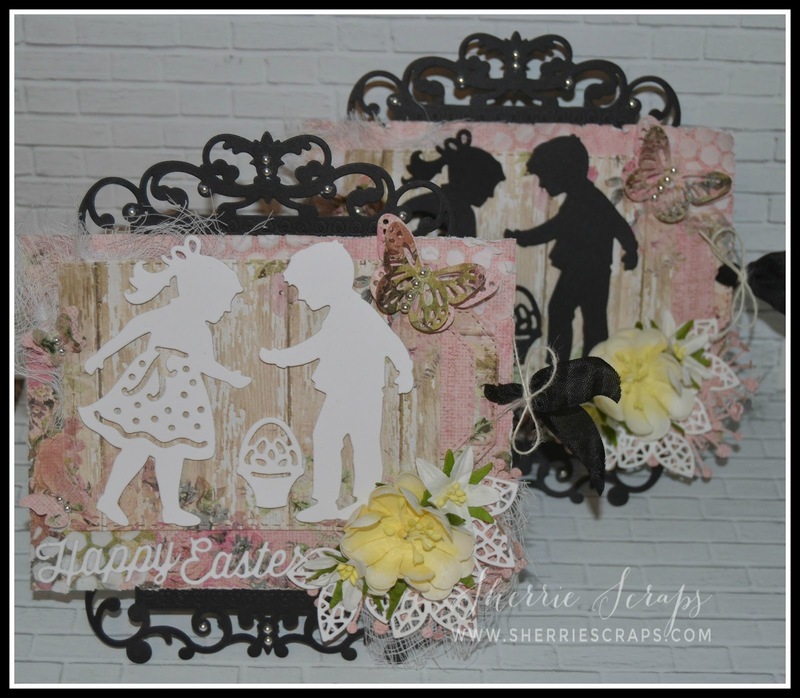 Such darling Easter cards with the boy/girl silhouettes! Thanks so much for joining us at Dies R Us this month for the 'Easter' challenge! Sounds like you guys have been having such fun with your beautiful weather! And I hope you all enjoy every minute of your Easter holiday! Beautiful I love your silhouettes such an adorable Easter card, Have a wonderful Easter my friend. These are gorgeous!! The silhouettes are so striking and the Spellbinders bases are beautiful!! Wow!